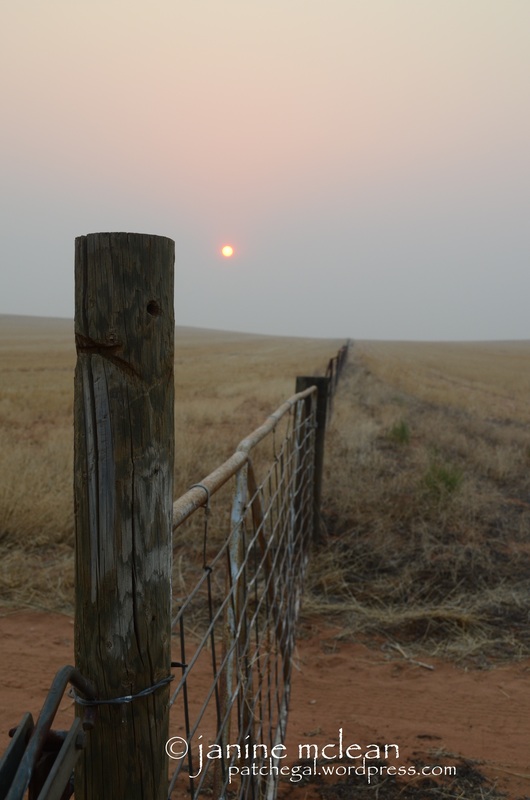 Bush fires have been burning in the Grampians 3 hours south of us since the weekend, but with a slight northerly wind overnight on Monday, you wouldn’t have been alone thinking that fires were burning a lot closer to home Tuesday morning. 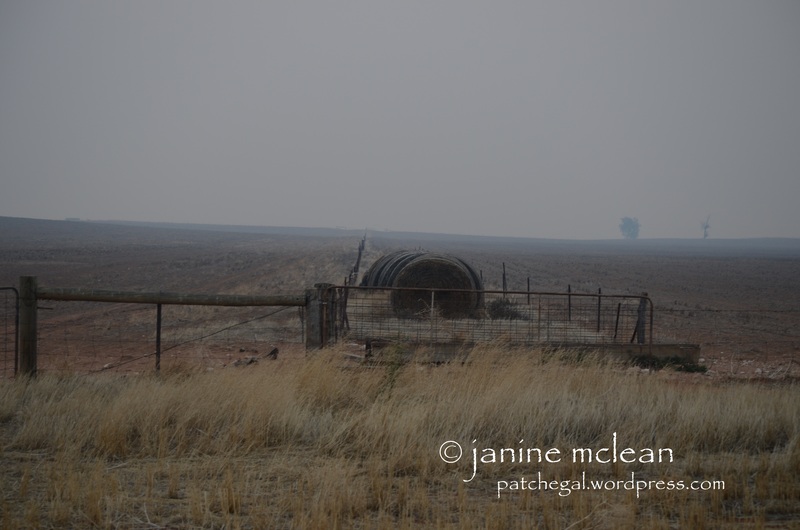 As the haze crept over Hotter’s hill and towards our house early in the day I admit I was slightly paranoid given recent events and did undertake a couple of drive-by’s to make sure that there wasn’t any closer fire activity that we had to worry about. 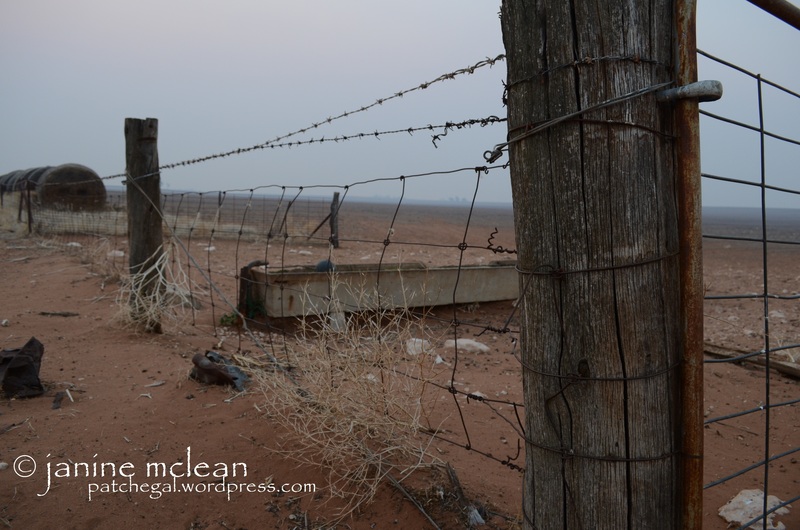 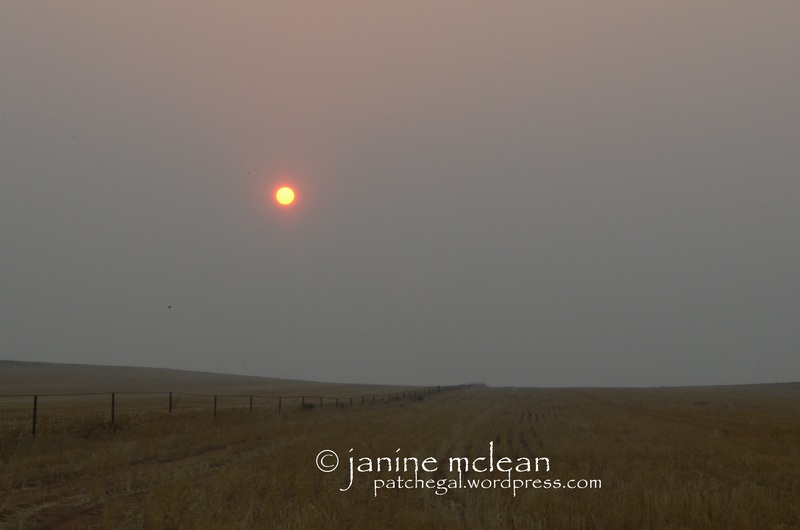 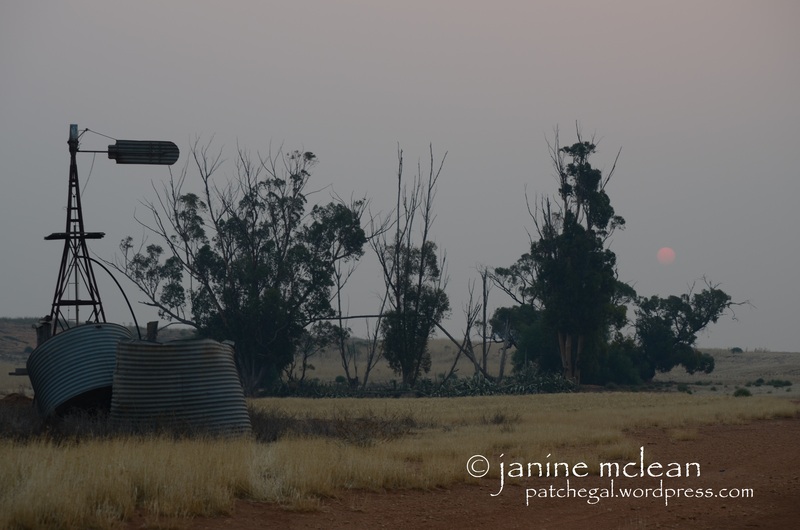 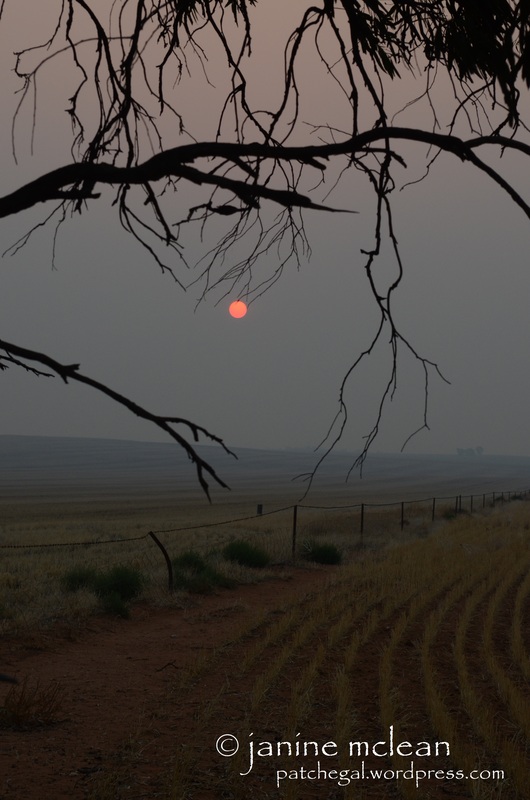 With the smokey haze still hanging as the sun set, my niece and I took a drive around the farm in an attempt to capture some of the eeriness of the day… At times the Sun blazed red and then it suddenly disappeared and only the haze remained………..